R.S. and Rita Mendelsohn standing in the doorway of a room [kitchen? ], looking to the side at one another, with R.S. facing the camera and Rita’s back facing the camera. R.S. 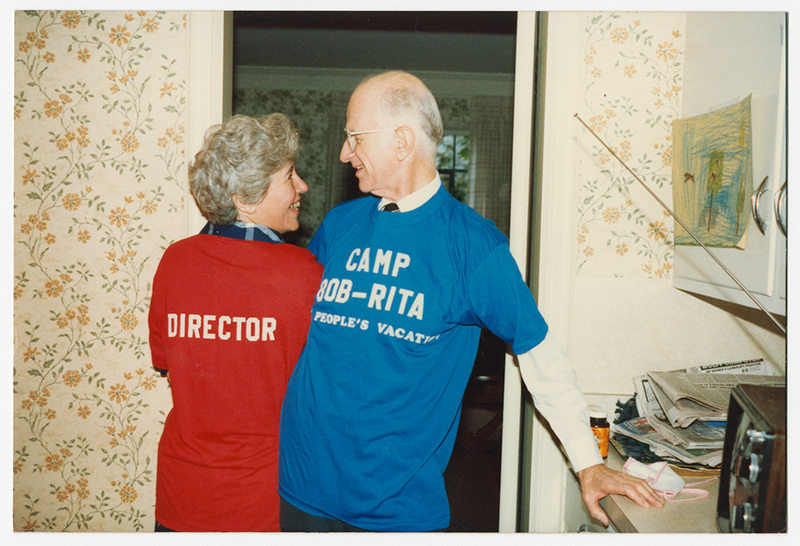 is wearing a blue t-shirt with “CAMP 80B-RITA PEOPLE’S VACATION” written on it over top of a dress shirt and tie, and the back of Rita’s red t-shirt (which she wears over a plaid blouse) says “DIRECTOR.” The two are smiling.